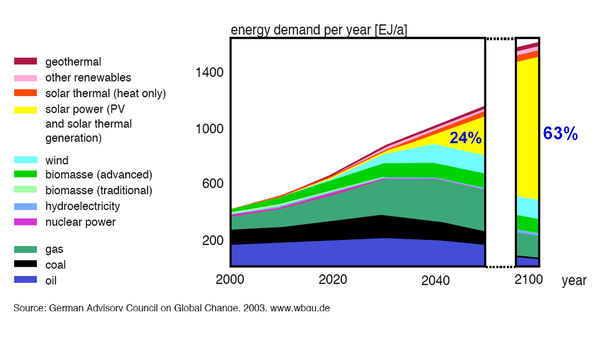 Challenges: Stability, Expensive noble metals and hole tranport materials, Industrial-scale manufacture process. Technical route: Printing based Fabrication Process; Simple Device/Module Architecture; Low-cost raw materials. Schematic drawing of the low cost, printable hole-conductor–free mesoscopic perovskite solar cell and corresponding energy levels. 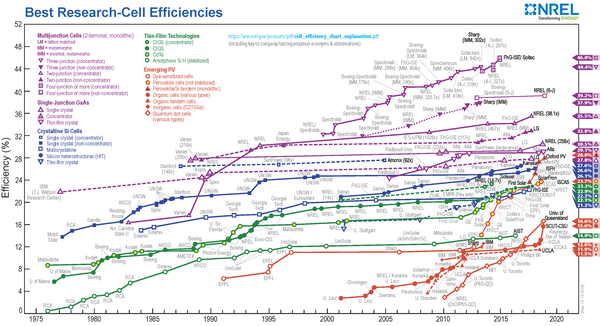 Power conversion efficiency confirmed by independent certificate of Newport Corporation (an accredited PV laboratory). 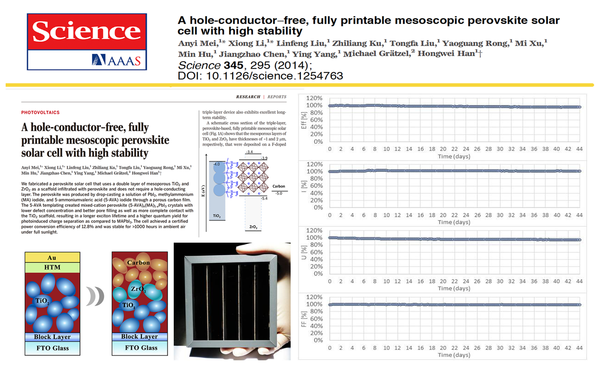 Through interface modifications and material engineering, the printable mesoscopic perovskite solar cells have obtained remarkable stability under various conditions. Solar RRL, 2017, 1, 1600019. 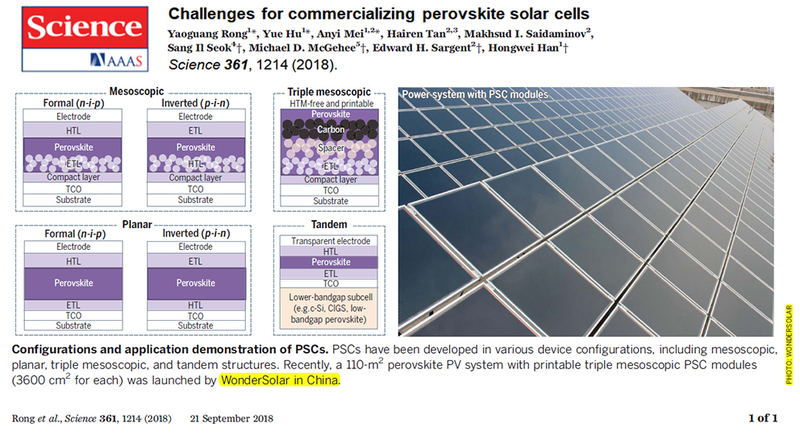 "Studies on a perovskite photovoltaic device suggest that improved stability, one of the hurdles to large-scale applicability of perovskites in solar cells, can be achieved." "The results are extremely encouraging and imply that the perovskite is not fundamentally unstable inambient conditions." 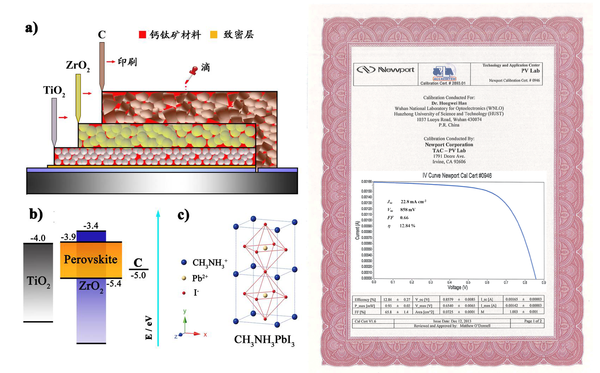 "Currently, perovskite solar cells (PSCs) based on the "triple layer" architecture with a thick carbon back electrode have demonstrated perhaps the most stable performance characteristics of all PSCs." Adv. Energy Mater. 2016, 6, 1600014. "Based on the pioneering work by Mei et al.（Han Group), we developed HTM-free solar cells, being at present the cheapest, fully printable low-cost deposition process." Nature Comm. 2017, 8, 15684.